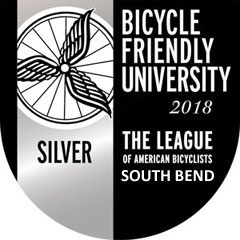 Coming Oct. 21, a new event called Love Biketoberfest will be born out of Love Creek County Park in Berrien Center, where you can take your chunky-tired bike either on a 3.5-mile dirt trail or the gravel roads that circle through the fruit-laden countryside. Or you can take your skinny wheels on road rides of 25 or 51 miles. 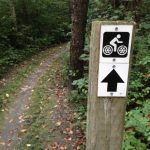 Need to learn about good body position, braking, hill climbing and other basics of mountain biking? Try a beginner’s clinic at 11 a.m. and 1 p.m. led by the Northern Indiana Mountain Bike Association. You must have a bike and helmet.